Canadian musician and superstar singer Bryan Adams continues on his trek in support of his 2015 album releas of ‘Get Up’. This 2017 year Bryan Adams has already announced world wide ‘Get Up’ tour dates and there’s a good handful of shows planned for North America. Bryan Adams’ album ‘Get Up’ was his 13th studio album release and he is known for popular songs such as Summer of 69, I Do it For You, Cuts Like A Knife, Straight From The Heart, Run To You, Heaven, plus so many more. Bryan Adams set on his way through the music world back in the very early ’80s. In fact his first self titled album was released back in February of 1980. Where you aware that bryan Adams is not only a great singer and songwriter, but he can masterly play the guitar, bass, harmonica and piano; That’s one talented guy! Bryan Adams always puts on a great show. His music is well known and all his fans sing along. Going to a concert of his is like going on a trip down memory lane for many people. So far he’ll be stopping and perfoming in U.S. states including California, Virginia, Pennsylvania, Maryland, New Jersey, Connecticut, Massachusetts, Florida, New Hampshire, Texas, Oklahoma, and hoepfully many more. 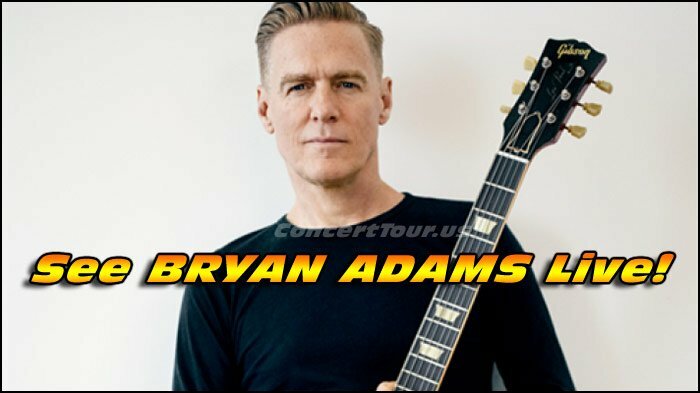 Look below for the latest list of Official Bryan Adams tour dates, links to look for tickets, plus some cool music videos. 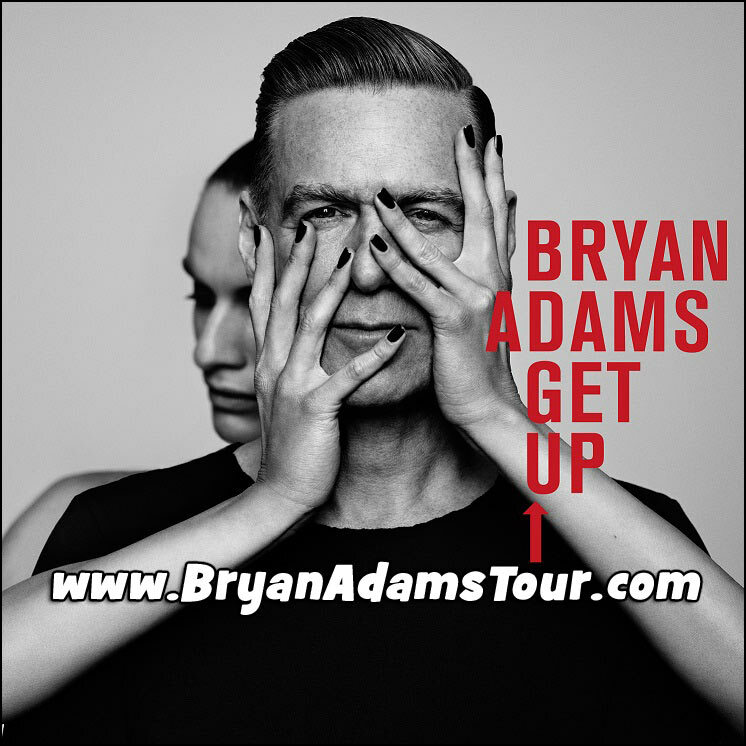 Don’t miss your chance to see Bryan Adams on his 2017 Get Up Tour! Check back to see if Bryan Adams adds any additional tour dates to his concert schedule. Don’t miss what could be your last chance this year to see BRYAN ADAMS live in concert!